I never know where my annual ‘October food’ posts are going to take me. Sometimes, I find a lot of spooky party platters. Other times, it’s a trendy ingredient or a bizarre new dish from a restaurant… this year, I found myself gravitating toward some particularly good entrants into the Weird Food Race in the areas of convenience eating. 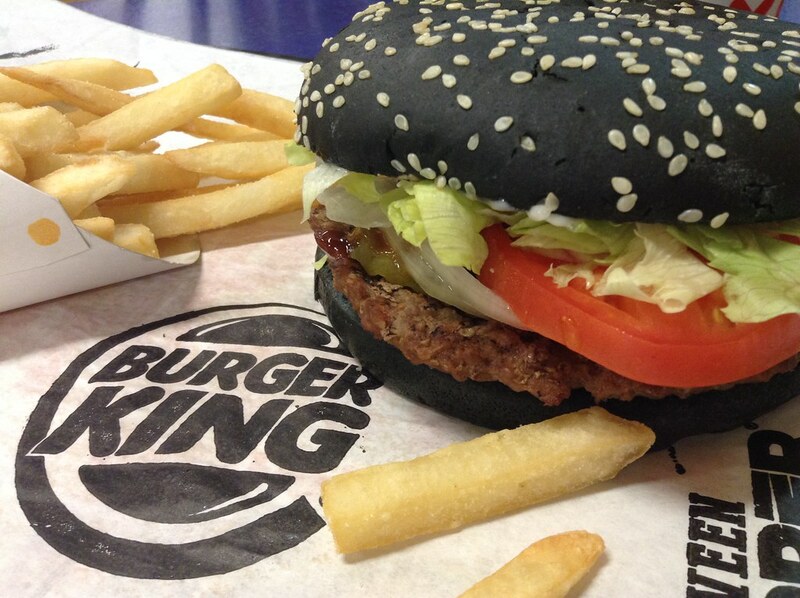 Burger King is bringing a black burger, similar to one of the menu items in its restaurants in Japan, to the United States. I’ve written about the burgers Japanese Burger Kings (and McDonalds) have introduced in the past… Now, their weirdness is coming stateside, with a few Americanizations. Contrary to the Japanese version, which is made with squid ink, the American version will also have a pitch-black bun — made with A1 steak sauce baked into the bread. Beyond that, it’s basically a Whopper slathered with even more steak sauce; no complaints here. Hard Rock Cafe has rolled out the Samuel Adams OctoberFest Schnitzel burger, which will be available at all U.S. Hard Rock locations until October 31. It features a lightly-breaded pork schnitzel, beer cheese sauce made with Samuel Adams OctoberFest beer, smoked bacon, sauerkraut, whole grain mustard, and fresh arugula on a pretzel bun. The arugula seems extraneous. 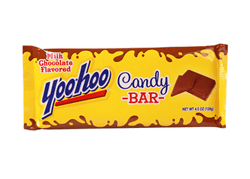 For the nostalgic sweets-lover in all of us, there’s a new offering on the candy racks: the hard-to-describe taste of Yoo-hoo is now a candy bar, available in Trick-or-Treat sizes and, according to the wrapper, ‘milk-chocolate flavored…’ so its origins are just as sketchy as the original drink. In likely the only instance we’ll ever see of the candy corn culinary experience being elevated, Brach’s has concocted a coffee infused bag of yummy that assures me the candy inside is also made with real honey. So, it’s good for you.